For those who have never traveled to Grand Lake Stream, you're in for a real treat. For those who have, welcome back. 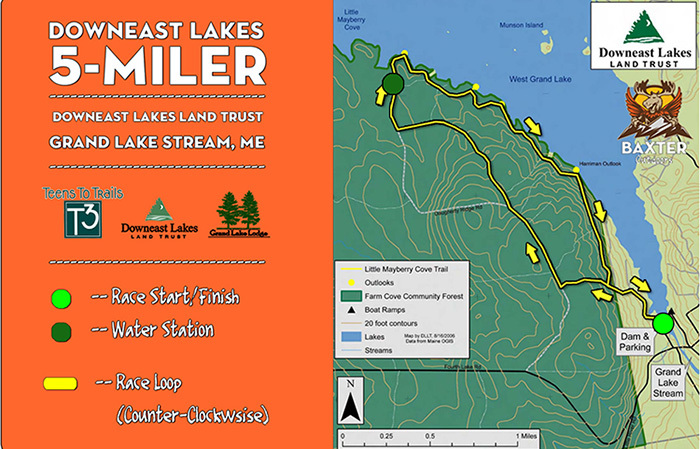 Taking place on the western shore of West Grand Lake, and co-hosted by the Downeast Lakes Land Trust, this race consists of a 5.1-mile loop on single track hiking and dirt, motorized-vehicle paths. The terrain is coarse at times and racers should expect roots, rocks, and mud throughout large sections of the course. But for each drop of sweat you shed, you'll be rewarded with complete isolation. No cars, no homes (except for a few small cabins), and no pavement. 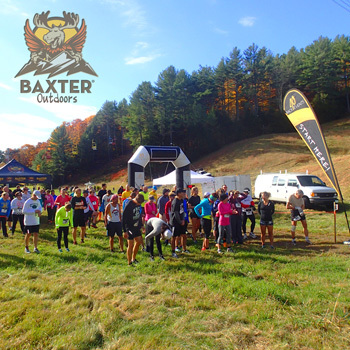 This is a true wilderness trail run designed for those looking to immerse themselves in nature. Downeast Lakes Land Trust is dedicated to the Downeast economy and environment. They protect lakeshores, manage a Community Forest, improve fish and wildlife habitats, provide public recreation opportunities, offer educational programs, and support jobs in the forest and on the water. Baxter Outdoors is grateful for the opportunity to partner with DLLT. This race is the day before DLLT’s 15th annual West Grand Lake Canoe Races. Bring your running shoes for Saturday, and your boat and paddle for Sunday, and make a weekend of it in Grand Lake Stream! This course is designed for beginner, intermediate and expert atheletes alike. If you plan on competing for the win, this course will pose a challenge. Footing is typical of a hiking trail in that it is uneven at times. Roots, rocks, and mud are present. This is not a flat dirt path. This is a east coast hiking trail. The course is mostly flat with several very short, up and down sections. The first 2.5 miles follow a dirt ATV road while the 2nd 2.5 miles follow the countour lines of the lake shore. Those looking to walk will discover a beautiful, mellow course.